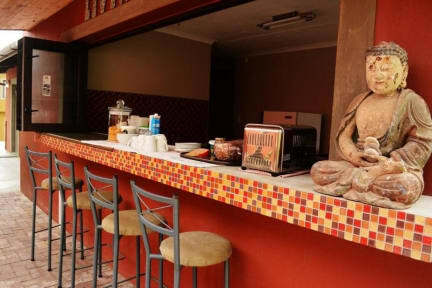 Clean, secure and comfortable hostel with a simple breakfast and 24/7 coffee/tea station. There is also a comfortable lounge with a TV. The property was a 5 minute walk from the beach and about a 20 minute walk from the town centre. I love this place! Every time I come to Swakopmund I make sure there is a spot available here. This most recent stay was my 6th, and I was as happy with it as ever. Great location, very helpful staff, the facilities are 100% and they always give great attention to feedback. It's one of Swakop's best-kept secrets- a real gem. Within walking distance of the center of town, so close to the beach!! The staff is very friendly and helpful. 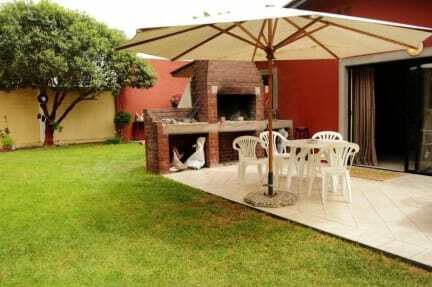 Also the location is perfect, very near to the ocean and only some minutes to walk to the city centre. I really recommend the backpackers! Thanks to everybody for a great stay! The staff are very helpful and accommodating. It's very small but it's a cute space and it's everything you need. There's a fish and chips food truck right down the street by the water which hand to God is the best fish and chips I've ever had in my life. Very secure facilities, right next to the beach. Rooms had character, good breakfast provided, bathrooms and kitchen were clean and spacious. Skeleton Backpackers is at a great location! The staff is friendly and the rooms are decent. There were not enough bathrooms and one bathroom didn't have a mat so the floor was always wet from the shower. One day it rained and that made the electric fence go on the fritz and we couldn't unlock the gate to get our car out of the lot. The people gate was unaffected and we were able to get out that way. Wifi was ok, but slow in mornings. We got locked out of the main door when we were out past 10. A little bit of a walk to the main areas of town, 15-20 mins. Other hostels are a bit better situated. Plenty of room for camping, nice breakfast provided. Clean rooms, staff were nice. Not much of a hostel vibe, more of a campers stop off.